I’m very proud to teach ESL at Francis Lewis High School, one of the largest schools in NYC, where I am also UFT chapter leader. When repeatedly failed schemes, like merit pay, are promoted by Governor Cuomo, NYSUT needs strong leaders. 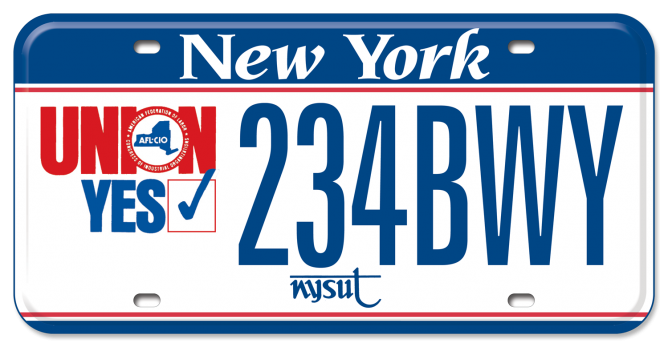 NYSUT needs to represent all teachers, whether or not they support mayoral control, VAM, or Common Core. I’ve written in the NY Daily News and elsewhere against all these corporate reforms, and as a result, have been shut out of participation in NYSUT and AFT by UFT leadership. Former AFT President David Selden wrote that teachers were expelled from the invitation-only UFT-Unity caucus for opposing the Vietnam War. A half-century later, little has changed within UFT-Unity. Our elections are winner-take-all, and all our NYSUT and AFT reps are hand-picked by UFT-Unity, which demands a signed oath to publicly support its positions. I can’t and won’t support baseless, counter-productive corporate reforms. I’ve opted to use the press instead. UFT-Unity twice failed to oppose mayoral control in NYC, where it’s amounted to mayoral dictatorship. Nationally, mayoral control has enabled people like Gates, Broad and the Waltons to foist their anti-union notions upon public schools. We know Common Core has never been tested anywhere. We know teachers, parents, and students all over NY are suffering due to its developmentally inappropriate expectations. John King labels vocal parents and teachers special interests, but sits mute when corporate-backed Students First NY monopolizes forums to shut parents, teachers, and students out. VAM, as Diane Ravitch writes, is junk science. AFT President Randi Weingarten now says, “VAM is a sham.” Rather than co-write laws that can enable our brother and sister teachers to lose jobs over junk science, we should work toward crafting something supportive and research-based. In NYC, leadership boasted we’d negotiate a fair evaluation system, but we ended up having one forced on us by John King. In fact, John King is right about one thing. We are a special interest. Our special interest is the children of New York State. Despite media voices proclaiming otherwise, we want our students to have the very best teachers and learning conditions. We want to foster readers and thinkers, and we won’t achieve that by restricting instruction to corporate-designed learning modules and script-reading, clock-watching teachers. We want our kids to think freely and independently. Let’s set an example by promoting free and independent thought within our own union.